The last thing any of us wants to think about is the inevitable death of loved ones, or our own mortality. But the truth is that as a responsible adult it is vital you make sure your loved ones are cared for and all other matters will be settled without burdening those left behind. The best way to do this is to find an Edmonton Wills & Estate Lawyer to help you create a last will and testament. Its never too soon to create a last will and testament. While you may not want to think about your death when there is still life to be lived, the consequences of not having a will shall pass on to your relatives to deal with along with their grief. Put simply, your last will and testament is a written legal document that determines how your property, business and financial affairs will be settled upon your death. When you hear people say someone’s “estate must be settled,” they are referring to the will in general. There are two important terms to understand when initiating a will. The ‘testator’ is the person who made the will and who’s property and estate is to be dispersed by the will. 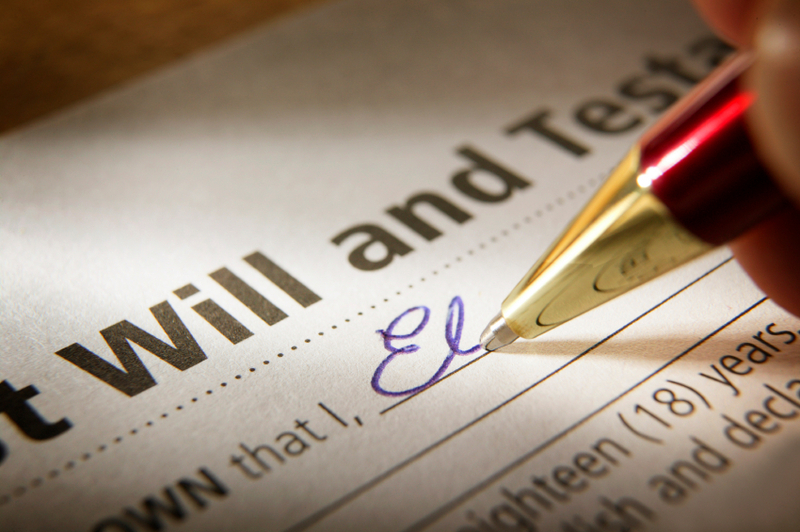 The ‘executor’ of the will is the person named by the testator to carry out the instructions outlined in the will. Although creating a last will and testament is not required, it can do a lot to alleviate the stress of the death of a loved one by outlining what is to happen in the event of your death and how your estate is to be distributed. Children – If you have children, a will can name a person or persons to act as guardian until they reach the age of majority. A will can include your wishes about the way the children are reared as well as name a responsible party for the financial needs of the children. Keep in mind however that wills in Alberta regarding guardianship are just recommendations, as the court has final say in the matter. Business – Owning a business is a complicated matter in life, and in your death the matter of dissolving or continuing a business can be daunting for the uninitiated. Your will may lay out a plan for your successor, the sale of the business or the dissolution of your business. If shareholders or partners are involved this should also be outlined, for example, if your spouse or child is to take over the business in your place. Property – Your will should set forth who shall inherit any and all property in your possession at the time of your death. It is common for property to pass on to a spouse or heirs, but the choice is up to you. Property settlements may also include any business properties, if for example you decide to pass the business to a non-family member but keep the property in possession of family. Money – Outlining who shall inherit the monies remaining after funeral costs is perhaps the most difficult aspect of creating a will. Money isn’t just limited to what is in your account, but also insurance and pension plans, investments, alimony and debts. It is important to make a provision for the executor to settle debts before distributing cash to recipients. There are a few things you should keep in mind when creating a will in Alberta if you want your last wishes to be granted. First and perhaps most important is that your last will and testament must be submitted in writing and follow the provisions outlined in The Wills Act to be valid. You must be at least 18 years old and mentally sound to make a will, unless you meet special requirements such as being a member of the Canadian Forces. Hiring a lawyer is the best guarantee that your will is executed to your specifications.